The third ship of the Landing Craft Utility (LCU) MK-IV project was inducted into the Indian Navy on April 25 at Port Blair. The ship was commissioned as IN LCU L53 by Commander-in-Chief A&N Command Vice Admiral Bimal Verma. 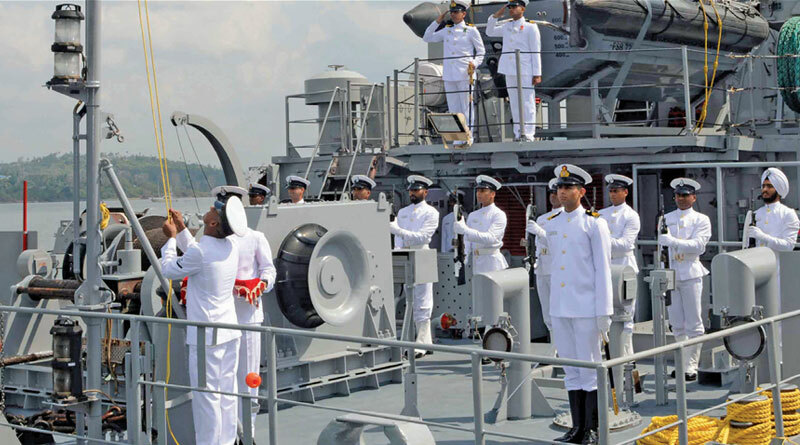 Designed and built by Garden Reach Shipbuilders and Engineers (GRSE), Kolkata, the ship showcases the immense potential of the country’s indigenous ship-building capability and is in consonance with the national goal of ‘Make in India’. LCU MK-IV ship is an amphibious ship with a displacement of 830 tons and is capable of transporting combat equipment such as Main Battle Tanks Arjun, T72 and other armoured vehicles. The ship is fitted with state-of-the-art equipment and advanced systems such as the Integrated Bridge System and the Integrated Platform Management System. The indigenous CRN 91 Gun with Stabilised Optronic Pedestal provides the ship the requisite offensive capability for undertaking patrolling in addition.